I want to welcome you to our new website! It is my hope that you will find the site interesting and informative. There is so much information on this site and more to come. You can find out how to become a referee or learn about SC Referees working at the highest levels. 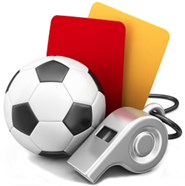 Please take time to look around and never hesitate to reach out to me or anyone else on the State Referee Committee with questions or concerns. We elected to switchover to the new web site before completing all of the content because there is a lot of information available which can be used immediately. On pages that we haven’t completed yet, you will notice a “This page under construction” message. The primary reasons for this are that we either haven’t figured out what we want to put on a particular page, or haven’t gotten to it yet. Any suggestions that you have would be helpful! Got a Website Suggestion? Like to Post an article? Got pictures or a video you’d like to post? Unanchored Soccer Goals Pose a Dangerous Threat http://www.nbcboston.com/investigations/Unanchored-Soccer-Goals-Pose-a-Dangerous-Threat-453168723.html CHECK THE GOALS! Positioning & Reading the Game. “The best position is one from which the referee can make the correct decision.” The pregame conference should be productive, useful and create a cohesive officiating team. Dr. Skye Arthur-Banning started his soccer refereeing career in 1992 as a way to stay in shape for ice hockey in the summer in Canada. 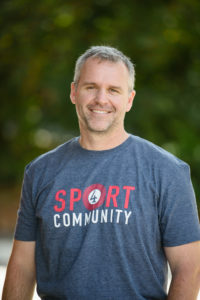 Recognizing his passion for the art of officiating, when he moved to the USA to pursue his Master’s degree and PhD, it became a great way to relieve the stresses of his studies. In that time, he became a USSF National Referee, a certification he held for 7 years and currently is a National Referee Coach and National Assignor with US Soccer. In 2012, he learned about Paralympic soccer while attending the Olympic Games in London and wanted to explore ways to give back to the game in a different way. By 2014, he was appointed an International Referee for the International Federation of Cerebral Palsy Football (IFCPF), the FIFA equivalent of Paralympic Soccer that includes individuals with cerebral palsy, traumatic brain injury, stroke and other neurological impairments and in 2015 was appointed the Head of Referees for the IFCPF. He was fortunate to be able to officiate in the Rio Paralymic Games in 2016 and was an assistant referee on the gold medal match. Between USSF and IFCPF opportunities, he has officiated in over 100 International matches at events around the world including Argentina, Denmark, Spain, Tanzania, Brazil, Canada, USA and Italy. In addition to these incredible opportunities, he has remained active as a referee in the NCAA and continues to serve the High school and youth games in the region.